L'ALTRA is the stormy collaboration of singer-guitarist JOSEPH DESLER COSTA and singer-keyboardist LINDSAY ANDERSON. Coming out of their respective corners, the duo have composed and recorded their fourth studio album, TELEPATHIC. The songs, initially crafted apart by the two artists in separate locations, come together as a swirling and beautifully unified whole. The new album boasts the traditional L'Altra arrangements of piano, Wurlitzer and guitar coupled with subtle electronics, steady rhythms and the intimate call-and-response musings of Lindsay and Joe. Coming out of their respective corners, the duo have composed and recorded their fourth studio album, TELEPATHIC. The songs, initially crafted apart by the two artists in separate locations, come together as a swirling and beautifully unified whole. The new album boasts the traditional L'Altra arrangements of piano, Wurlitzer and guitar coupled with subtle electronics, steady rhythms and the intimate call-and-response musings of Lindsay and Joe. While the sounds and pieces are familiar, it's in the details that the L'Altra story continues to unfold. TELEPATHIC finds the band working with a familiar cast of collaborators and friends including Josh Eustis (Telefon Tel Aviv), Charles Rumback (Colorlist, Via Tania), Josh Abrams (Iron & Wine), Elisa Graci (Costa Music), Marc Hellner (Pulseprogramming), and Darren Garvey (Cameron McGill, Andreas Kapsalis). L'Altra was formed in 1999 in Chicago with original members Lindsay Anderson, Joseph Desler Costa, Ken Dyber, and Eben English. Marc Hellner was also a regular contributor. The band released one EP and two records with Aesthetics Records before English and Dyber left the band. The band continued to tour with members Kevin Duneman and W. W. Lowman taking the place of the departed rhythm section. 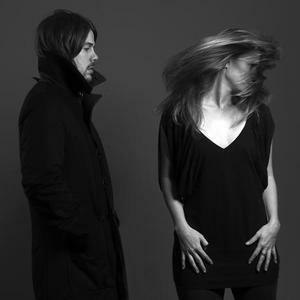 In 2005 L'Altra moved to Hefty Records and teamed up with Telefon Tel Aviv's Joshua Eustis who produced and recorded the band's album Different Days. In 2007 Lindsay Anderson released a solo album called If (Minty Fresh) while Joseph Costa aka costa music released his first solo effort Lighter Subjects in 2008. The release of their new album, Telepathic, is expected in 2010.